Look what came in the mail a few weeks ago! 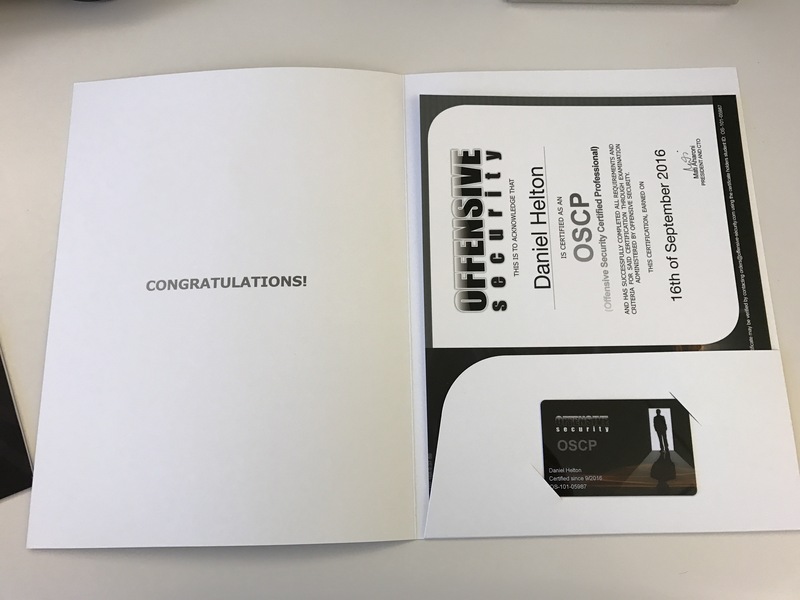 For the curious, it took about a month for them to send the paper certificate and a little hard-plastic credit card sized version via DHL courier. They send you an email asking where you want it mailed, just in case you’ve switched apartments or something in between registering and passing the exam. 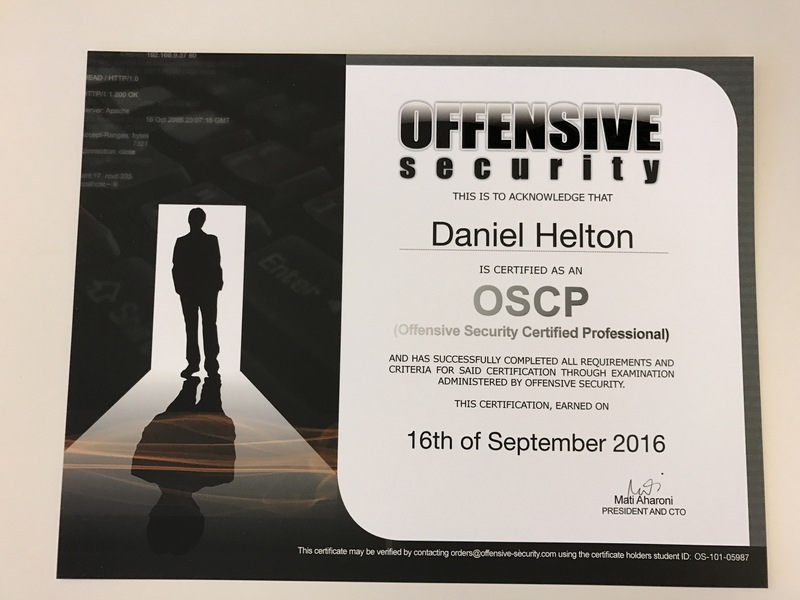 Also, I realized in my previous OSCP review that I forgot to mention a few things. I’ll list them here and also add them as an update to the original review post. 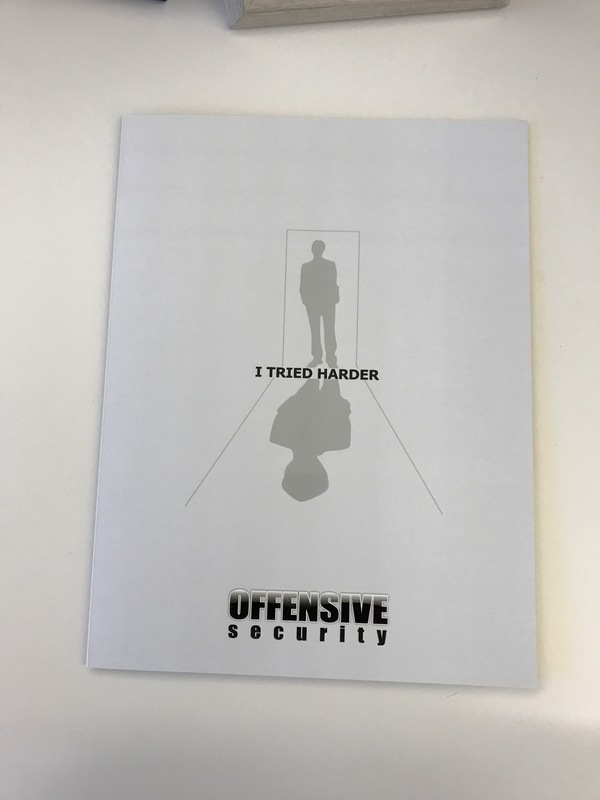 This entry was posted in OSCP on November 4, 2016 by ch1kpee.